Our Lyra outdoor sofa is a retro designer statement made for relaxing. 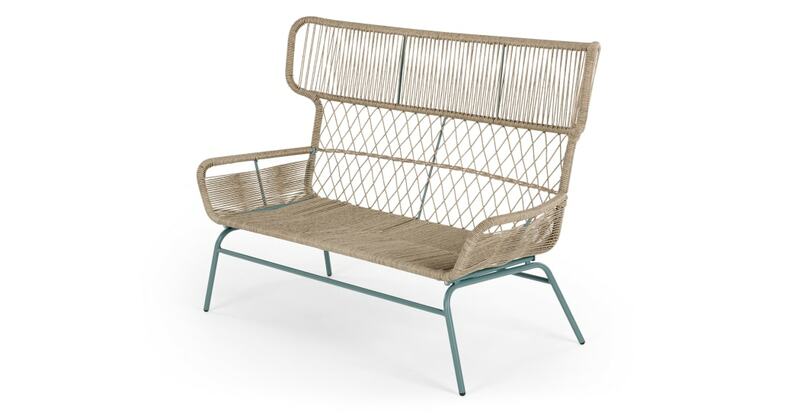 Crafted with woven poly rattan, it’s the perfect spot to catch some rays. On a sunny day, Lyra is an ideal place to hang out. This is where you’ll unwind and get through your summer reading list. Don’t forget the tunes, and a fresh drink. A smart design, as well as a stylish one, Lyra is weather resistant and can be left outside year round.